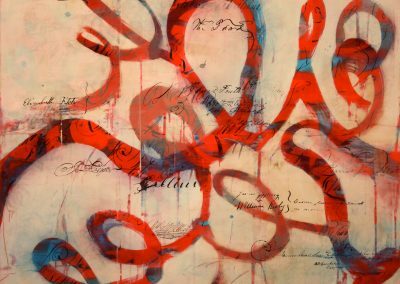 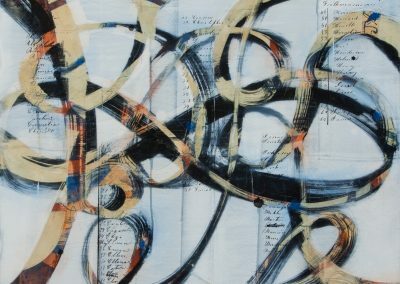 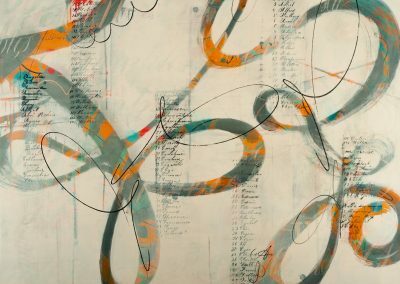 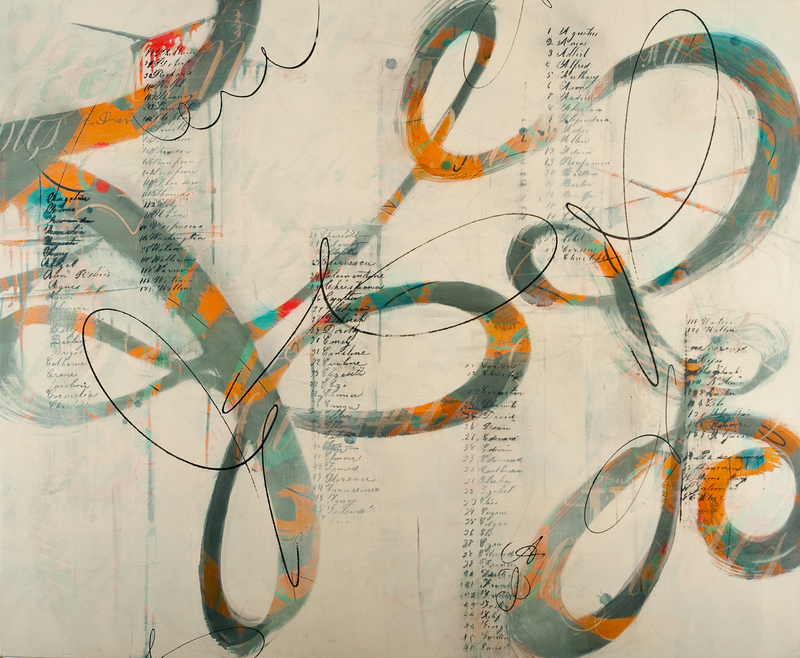 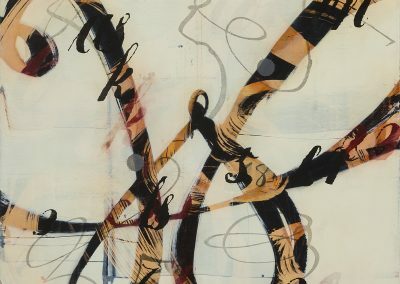 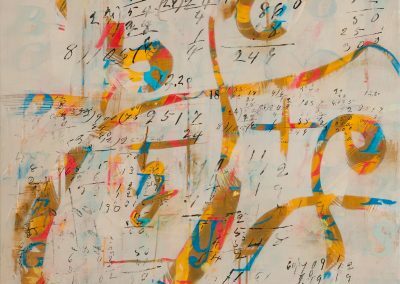 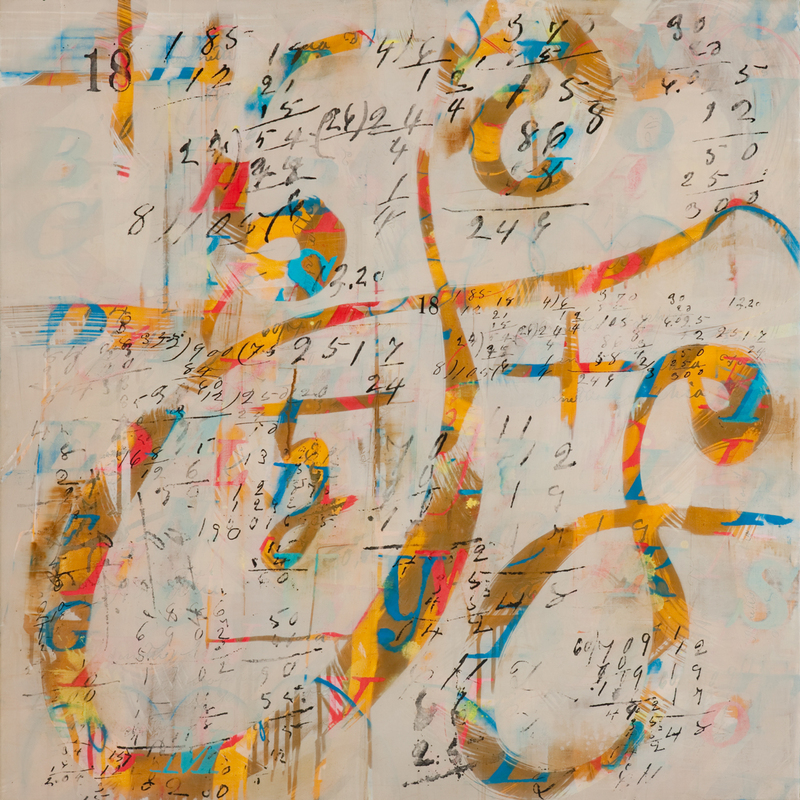 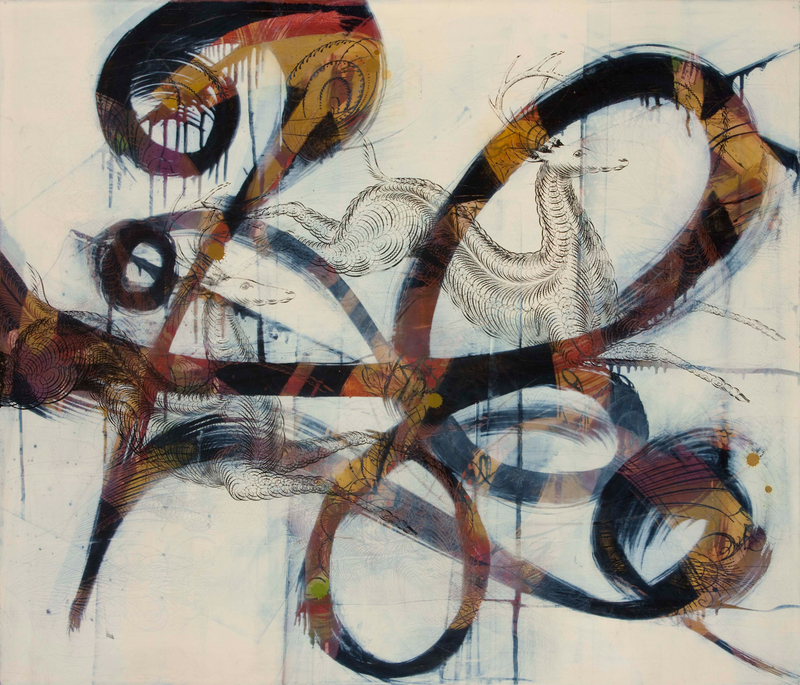 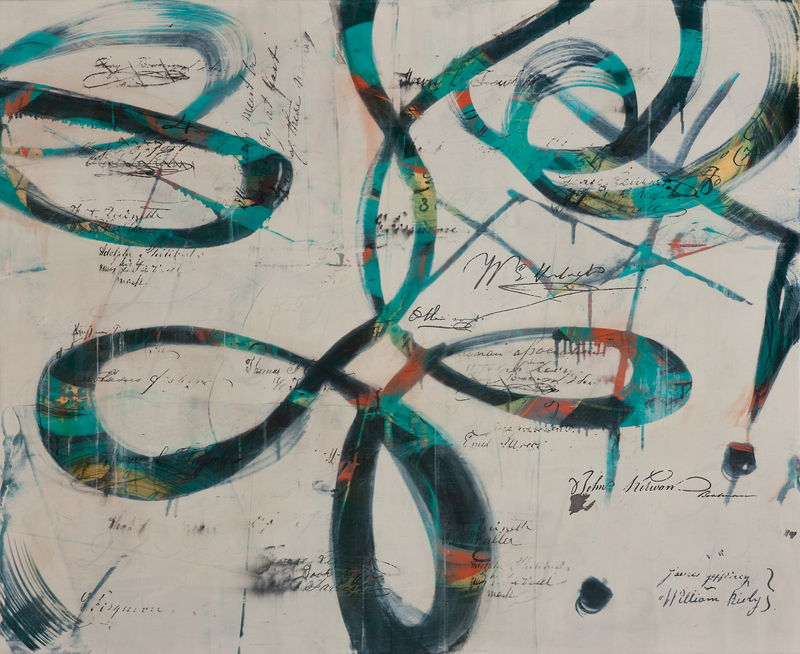 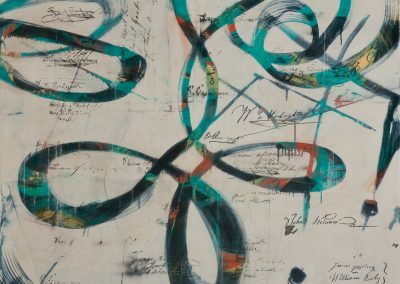 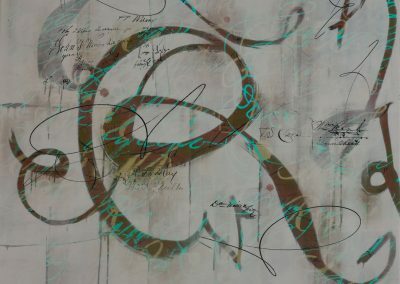 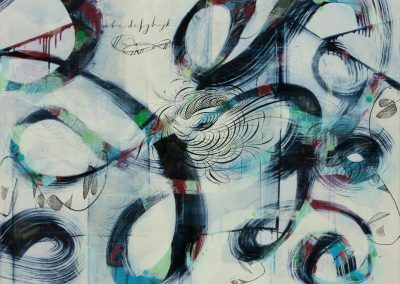 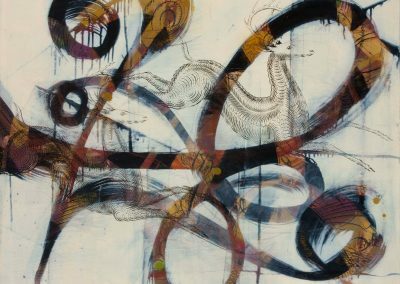 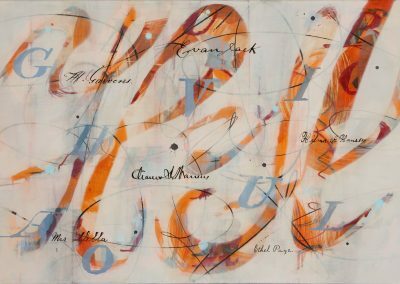 Exploring parallels between drawing/painting/handwriting/markmaking, this group of paintings magnifies intimate handdrawn marks into more explosive gestures. 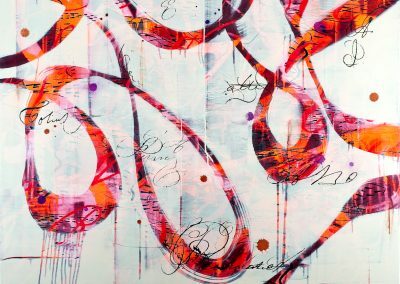 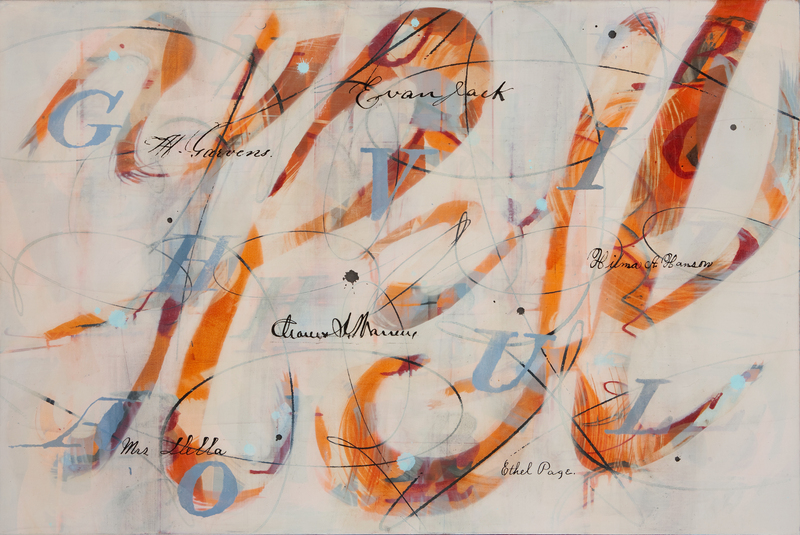 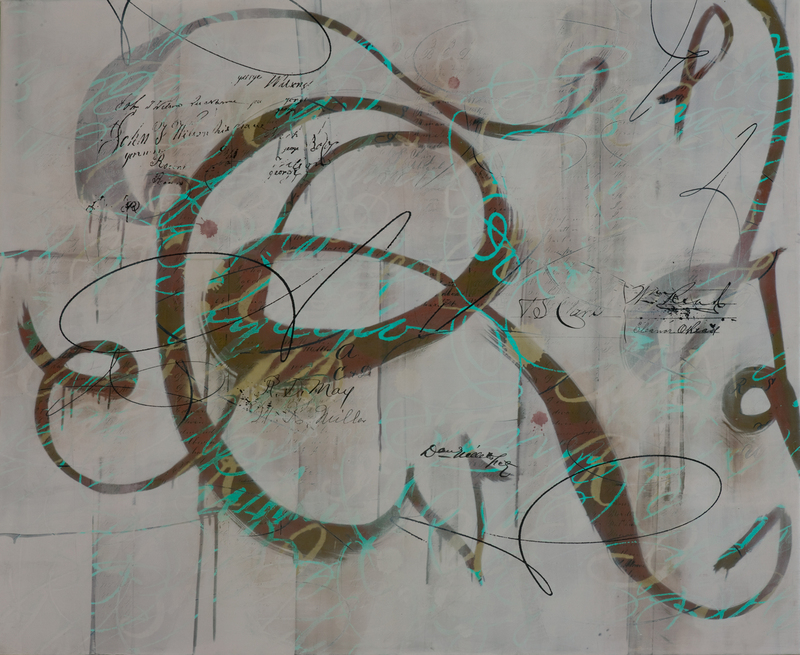 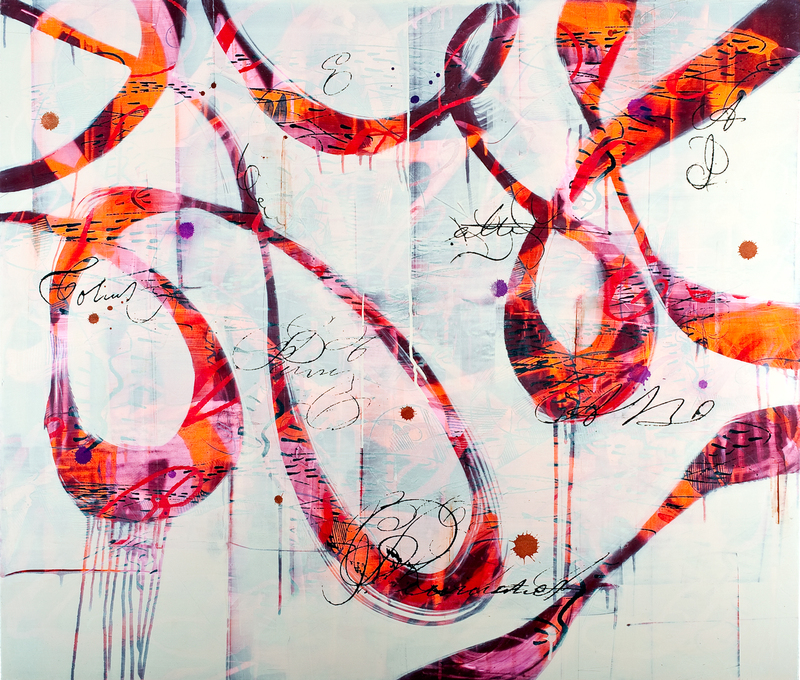 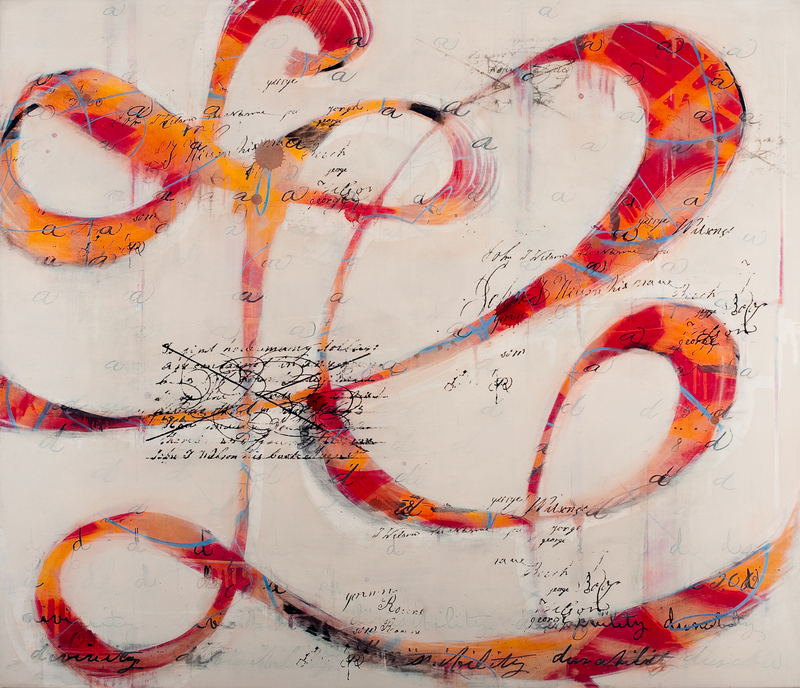 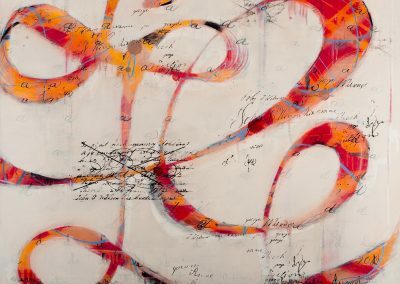 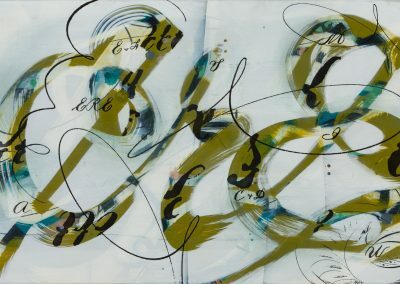 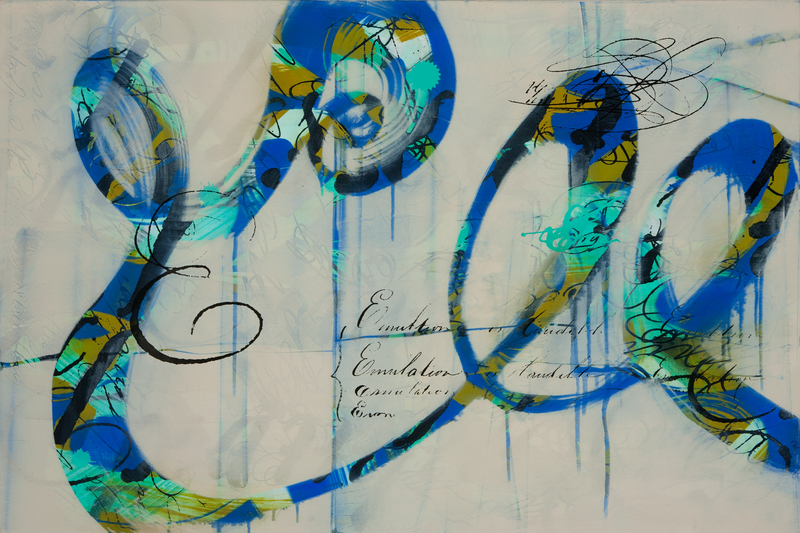 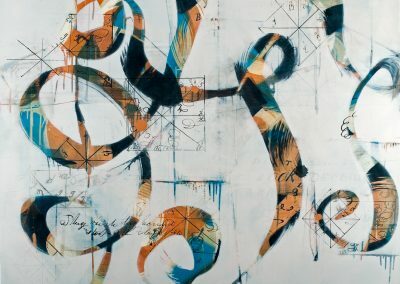 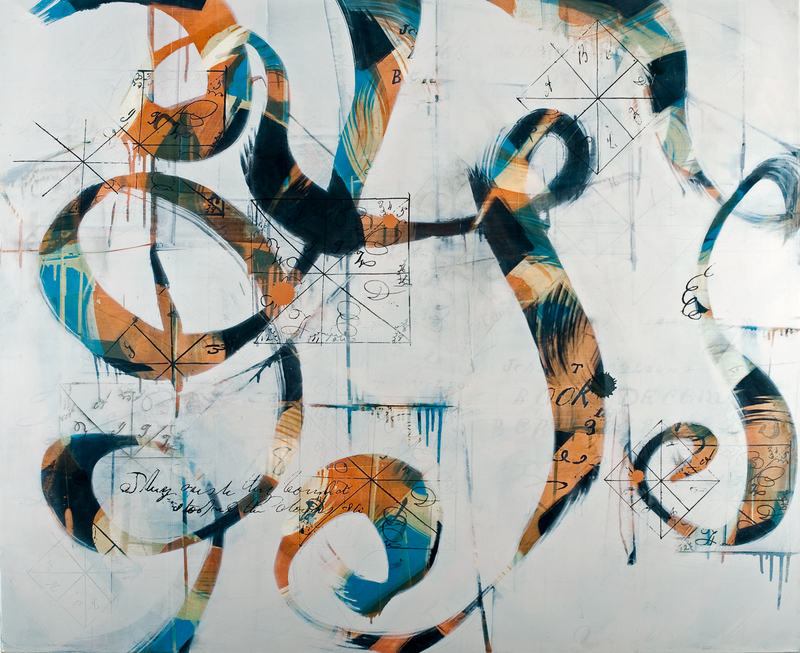 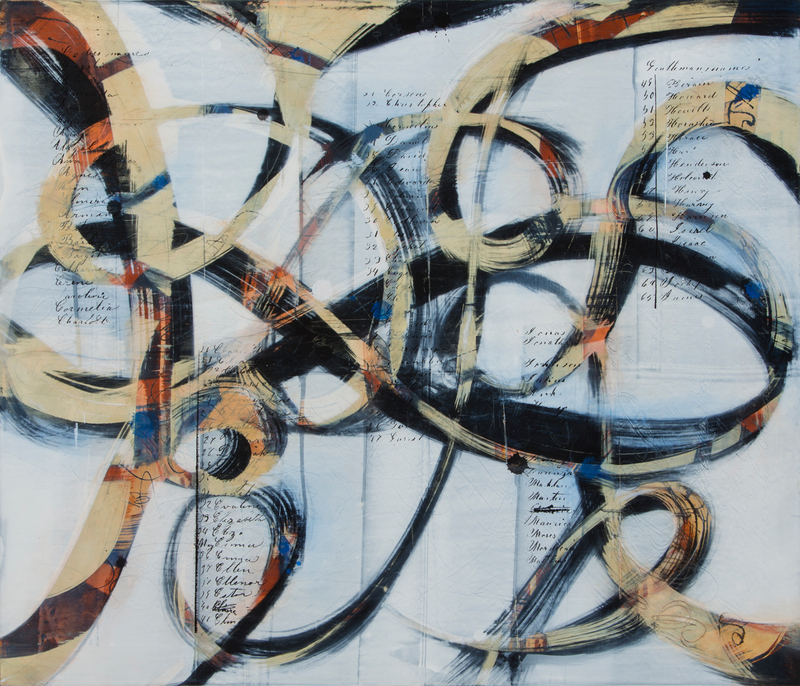 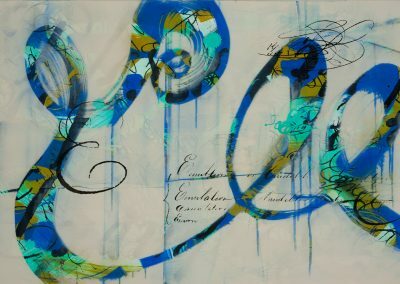 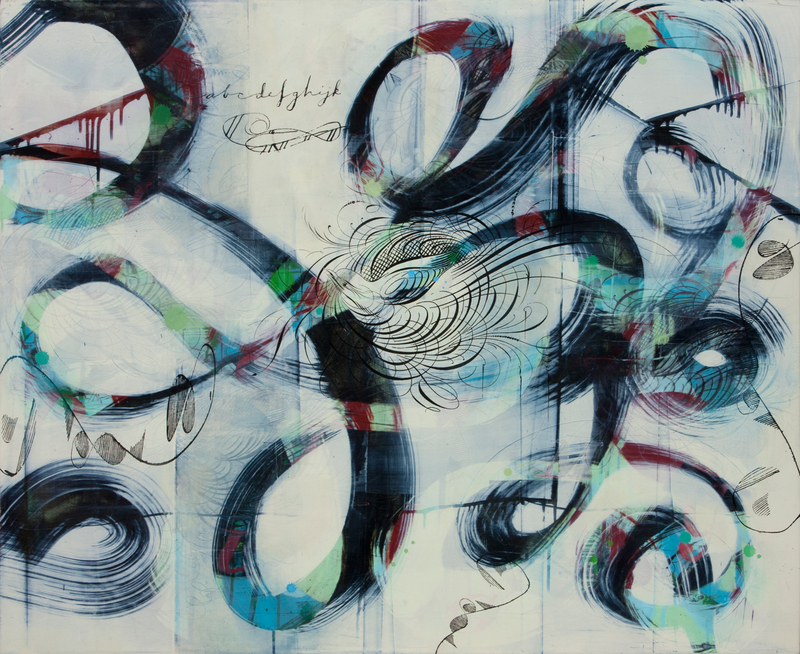 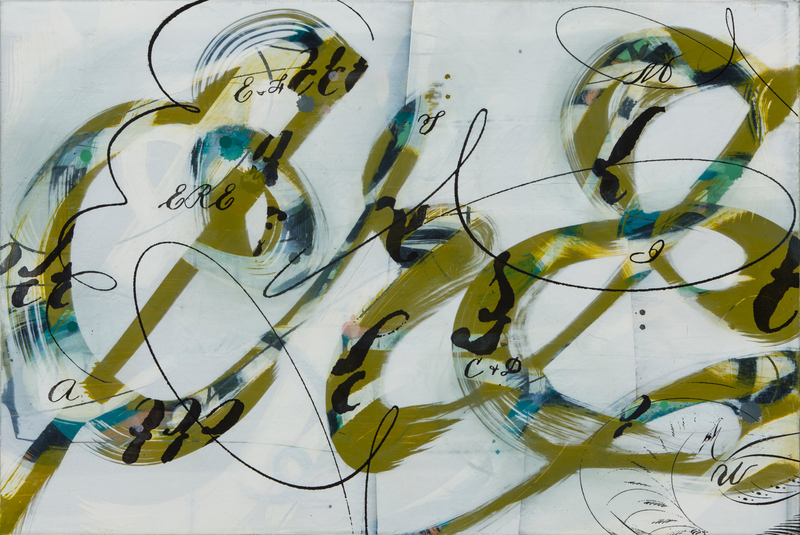 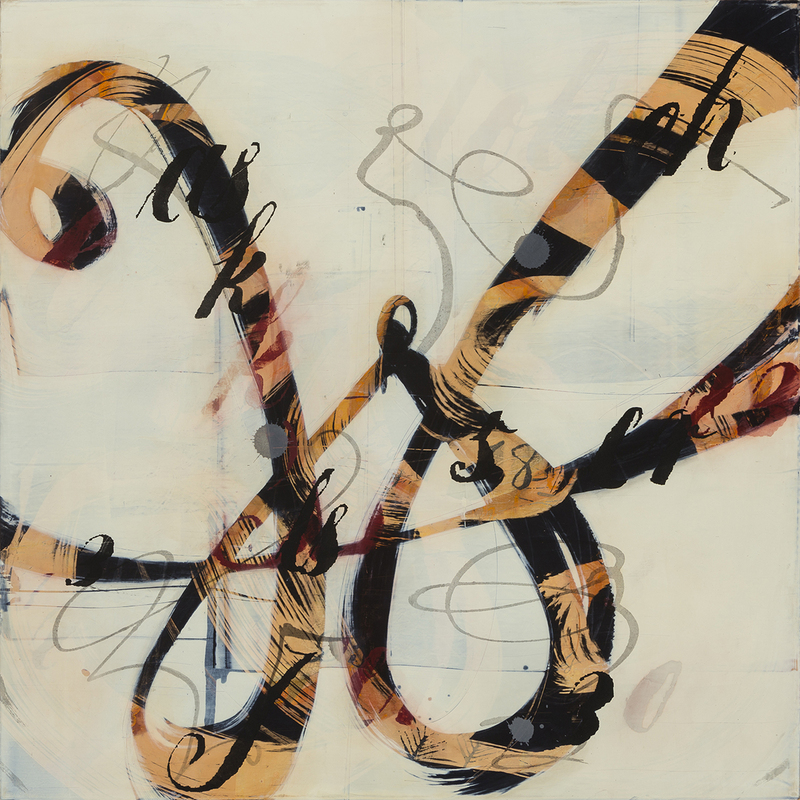 Bold brushy lines, derived from cursive letterforms, become conduits of space, providing glimpses into the many strata that lie beneath the surface of each painting. 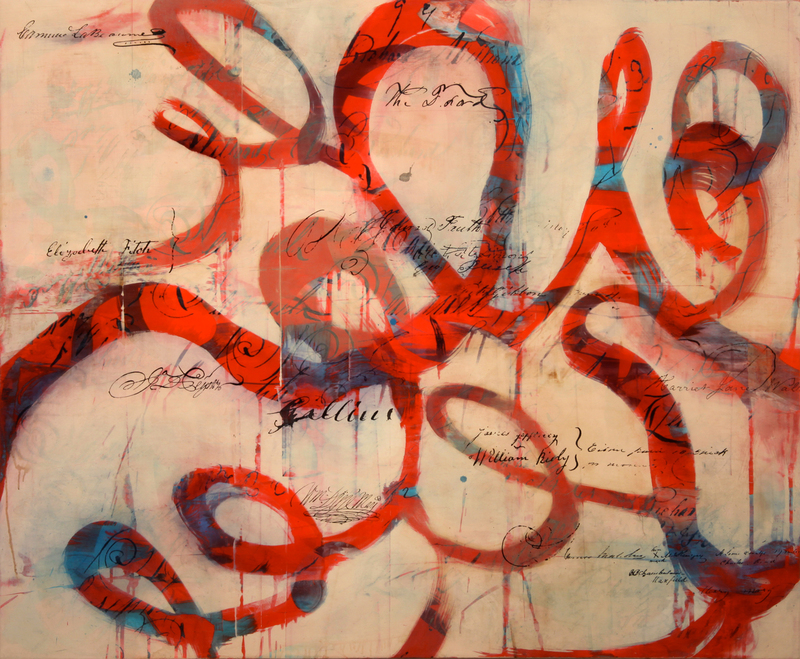 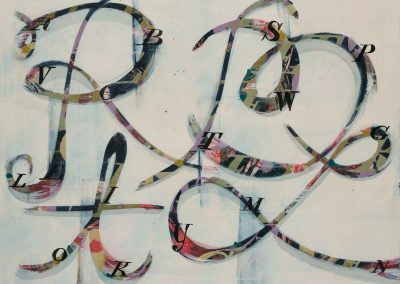 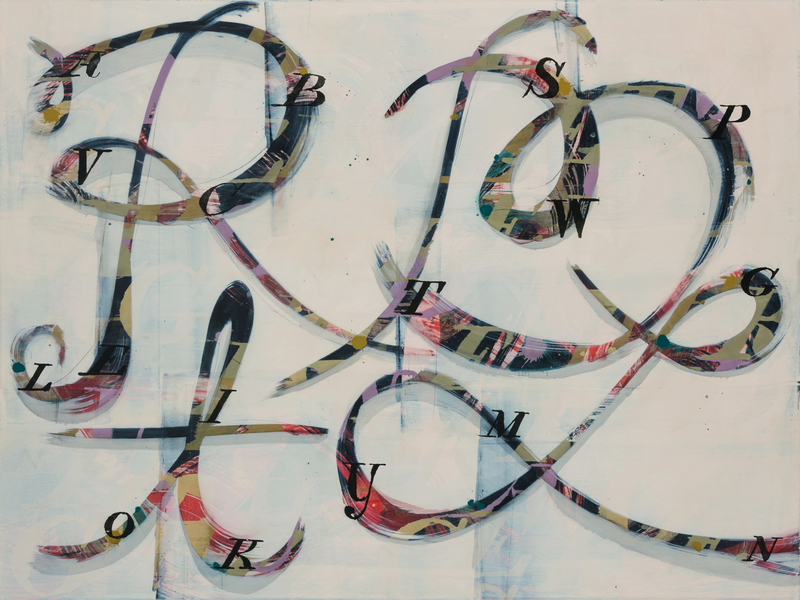 Several paintings open up and complicate the stripped down efficiency of texting acronyms.